Antero Homes builds multifamily and single-family homes to provide affordable housing solutions in the Front Range of Colorado. Projects are built with attention to architectural design, construction detail, and interior finishes. Our team designed the Antero Homes logo, website, and brand. Their fully mobile-responsive WordPress website is optimized for all digital marketing channels and search engines. 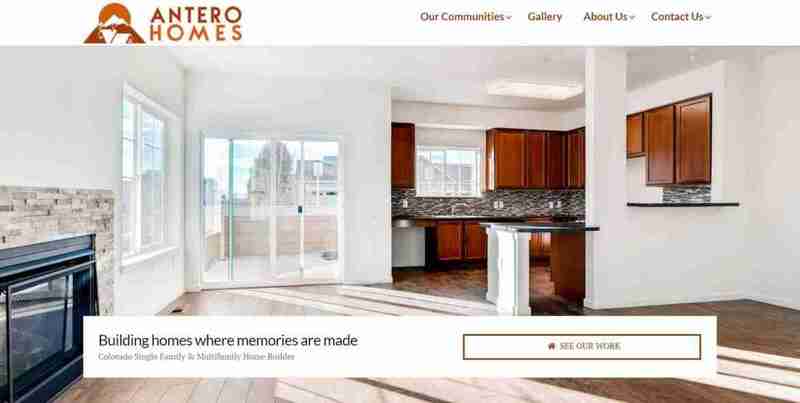 We continue to maintain website performance and digital marketing strategy for Antero Homes and their partner companies.